This horrifying video of UC Davis police indiscriminately pepper-spraying peaceful student protesters has gone viral. Two officers have been placed on leave. But for anyone who’s never been pepper sprayed, it’s hard to imagine exactly what it feels like. Over at Scientific American, Deborah Blum makes a valiant attempt to explain. 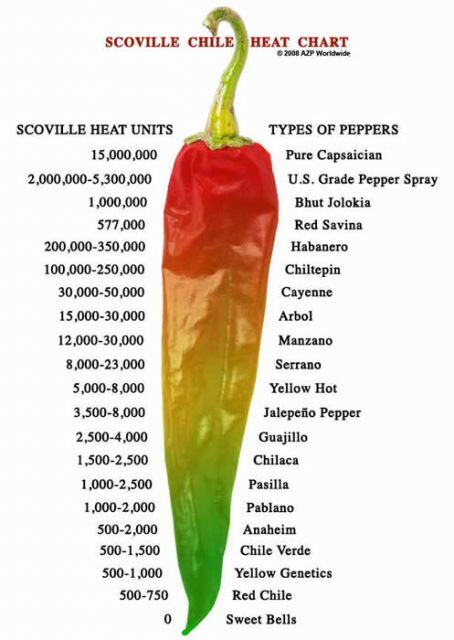 The reason pepper-spray ends up on the Scoville chart is that – you probably guessed this – it’s literally derived from pepper chemistry, the compounds that make habaneros so much more formidable than the comparatively wimpy bells. Those compounds are called capsaicins and – in fact – pepper spray is more formally called Oleoresin Capsicum or OC Spray. But we’ve taken to calling it pepper spray, I think, because that makes it sound so much more benign than it really is, like something just a grade or so above what we might mix up in a home kitchen. The description hints maybe at that eye-stinging effect that the cook occasionally experiences when making something like a jalapeno-based salsa, a little burn, nothing too serious. Until you look it up on the Scoville scale and remember, as toxicologists love to point out, that the dose makes the poison. That we’re not talking about cookery but a potent blast of chemistry. Blum looks at research linking pepper spray to cardiac, respiratory, and neurological problems and even sudden death. It’s scary stuff.